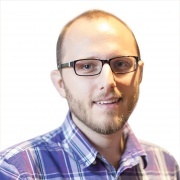 Matt Dominici is an Agile Coach and Professional Scrum Trainer based in Toronto, Canada. He has been a catalyst for improvement at a diverse set of organizations - from bootstrapped technology startups to 150 year old incumbent Financial Institutions. Along the way, he has played the role of Director, Coach, Development Team Member, Scrum Master and Product Owner. His clarity, positivity, and enthusiasm for agile helps teams and organizations discover their own path to true business agility. Matt knows he has been successful when he sees happier employees, higher performing teams and more effective leaders.